12th Fret Guitar Repair & Sales – Gibson V2 1980. HSC. The guitar has been gigged and subsequently has some minor marks, what we can see has been photographed. Nothing that detracts from the fantastic playability and sounds of this early one. Comes setup with 10’s and an Epiphone Hard Shell Case. The V2 was a take on the Flying V design produced with a five-piece body and neck made of Maple and Walnut. This guitar featured sculpted edges on the body and a pair of “boomerang” style pickups. 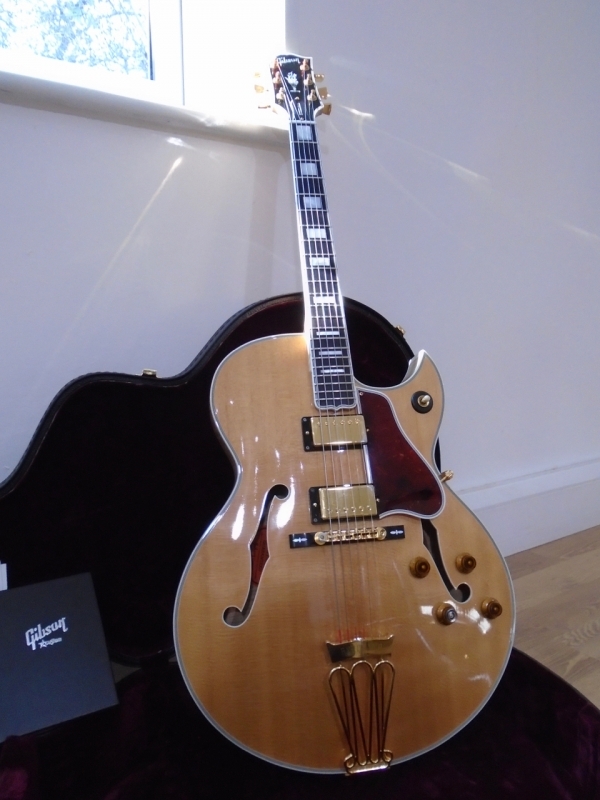 Gibson Customshop Byrdland. 2011 Natural. Florentine Cutaway. OHSC.